When you call a band named Hard Skin a total riot, it may conjure up some ideas. But you’d be wrong. In fact, the UK Oi band are a totally hilarious good time, put on an amazing live show and is a great band to boot (pun intended). As discussed at BV, Hard Skin are back on US shores in September in support of the two new LPs On The Balls and Why Do Birds Suddenly Appear (the same album as On the Balls, but with female vocals from the likes of Joanna Newsom, Miki Berenyi of Lush and more). 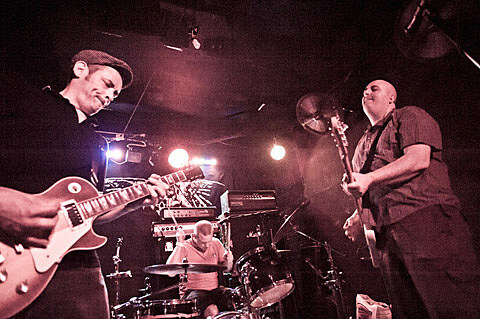 Look for the band to hit Subterranean on September 14 while supporting Dillinger Four. Tickets are on sale.